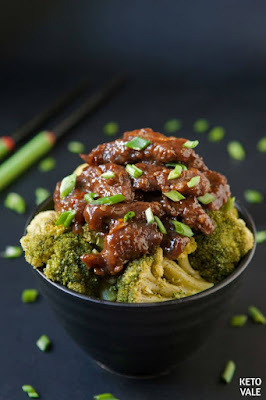 Mongolian beef – a very mysterious recipe that came to us from China. You’ve probably seen it in Asian restaurants especially Chinese takeaways. The name of this recipe might make you think it’s from Mongolia – a country in East Asia, but no, it’s not a Mongolian recipe. It’s a delicious and popular dish in the Chinese and Taiwanese cuisines. Heat a clean pan over medium heat (or use the same pan with beef if you want to), add the beef and prepared sauce, a pinch of salt and pepper and cook for another minute stirring constantly. Divide between plates and garnish with sliced scallions. The beef can be served in a bowl of some steamed broccoli florets or cauliflower rice or any other side dish of your choice. 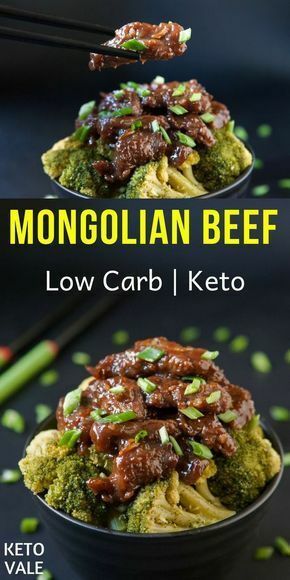 0 Response to "Keto Mongolian Beef"